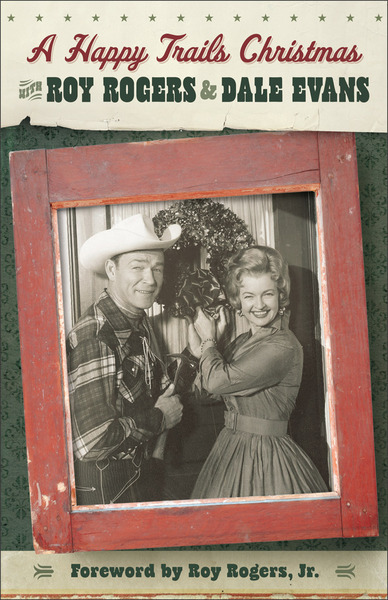 Roy Rogers and Dale Evans are Hollywood icons and represent a time when life seemed simpler, purer, and a bit more marvelous. The 100th anniversaries of Roy and Dale's births were marked in 2011 and 2012. In celebration of their vivacious spirits, Revell presents A Happy Trails Christmas, a special project that combines two of their best-loved Christmas books: Christmas Is Always from Dale and My Favorite Christmas Story from Roy. These classic books on the true meaning of Christmas are accompanied by plenty of family photos and a foreword by Roy Rogers Jr. The perfect nostalgic gift for the Baby Boomers on everyone's list, A Happy Trails Christmas will remind readers of the simple joys of celebrating the holidays.